The Ecuador Amazon is my favorite. Of course I'm partial because I've lived here more than eleven years of my life. But it really is a beautiful part of the country. The entire eastern part of the country is covered with rainforest. This region is snaked with rivers that eventually flow into the Amazon river. The Ecuadorians call this area el Oriente (the east) due to its location. 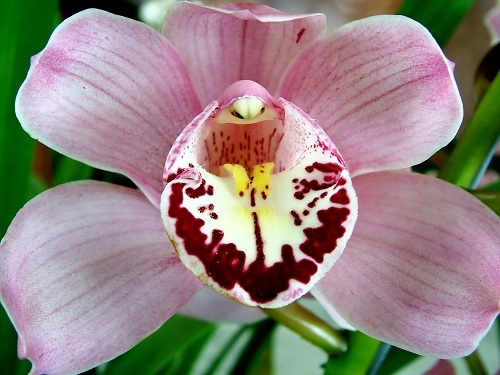 Orchid in the Ecuadorian Amazon region. The Amazon jungle region is home to a wide variety of plant and animal species, but is the least densely populated region of Ecuador. Many Ecuadorians from other parts of the country still imagine this region to be primitive, without modern conveniences. But when they actually visit they realize its more advanced than they thought. The mid-sized cities of Tena and Puyo found on the western edge of the rainforest are growing in size and offer a comfortable place to start a trip into the jungle. Misahualli is also popular with tourists. This small town is a great option for those with limited time or resources and are unable to travel deeper into the jungle. Further east, Lago Agrio and Coca also are larger cities. But other than that the Amazon region is dotted with small towns and isolated villages or settlements. Many indigenous tribes still cling to their traditional way of life in these areas. As you travel into these remote areas of the Ecuador Amazon, it sometimes seems the only western influence to have reached some of these people has been Coca-Cola. The road system in the jungle has really improved and has made it easier to get to even small villages that were formerly only accessible by footpaths. 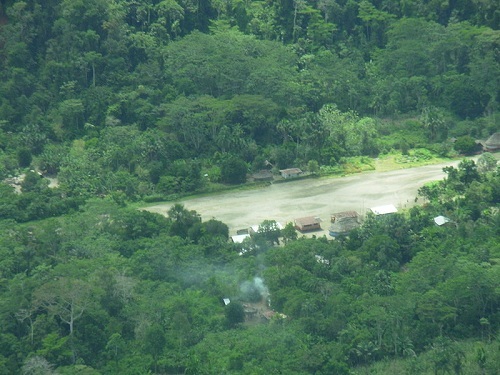 A small village along the river in the Ecuadorian Jungle. When entering the Amazon region from Quito make sure to see the best thermal pools in Ecuador at Papallacta. Tropical fruits are found in abundance. Coffee and cacao (chocolate) are grown by many of the indigenous people. The petroleum, gold and other valuable resources found in this region has caused much controversy. It has also contributed to the growing wealth of some in the area. The deforestation of the rainforest caused by the search for oil and gold has also led to some uproar. Thankfully you can still see much natural diversity here, though you have to travel deeper and deeper into the jungle to reach untouched area. 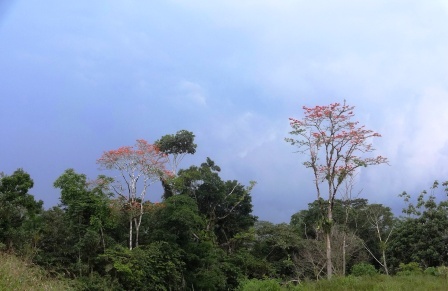 The climate in the Amazon jungle is hot and humid year round. Daily rainfall helps keep the heat under control in many places. But long periods without rain do occur and at these time you're thankful for the abundance of rivers flowing through the region. Rain clouds rolling toward Tena. Which Jungle Town Gets Your Vote? Have you spent some time in one of Ecuador's jungle towns? What did you think was the best part of your jungle oasis? 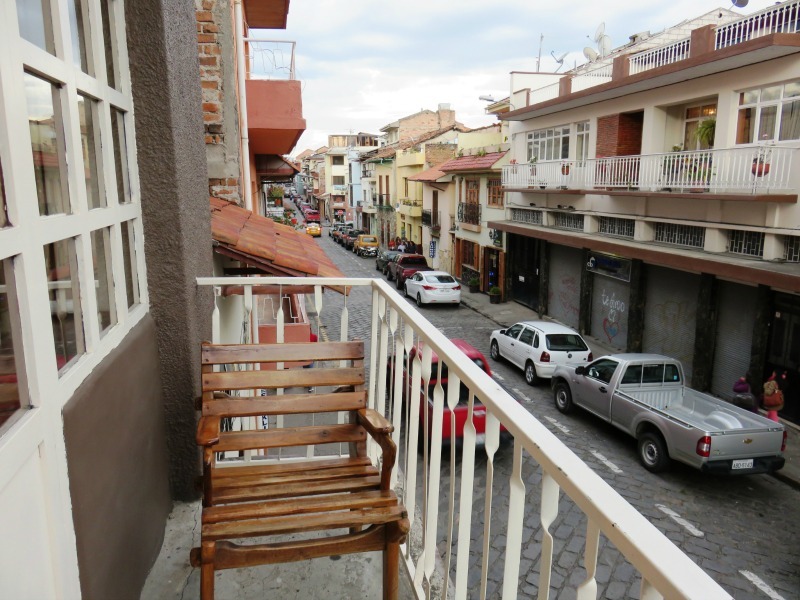 Taking an Ecuador road trip.